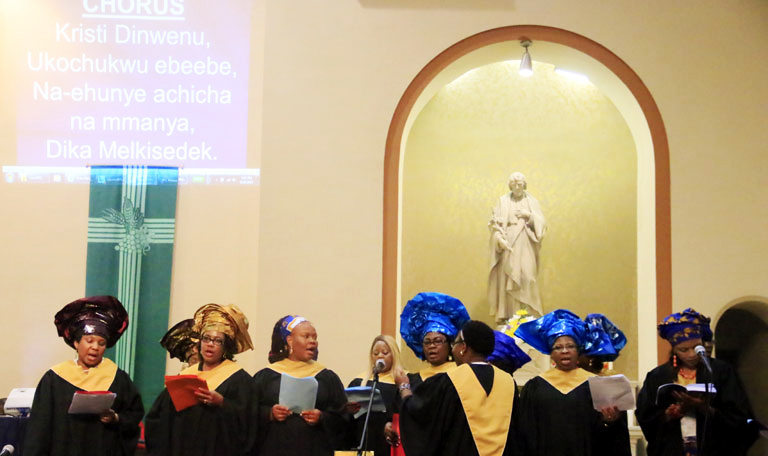 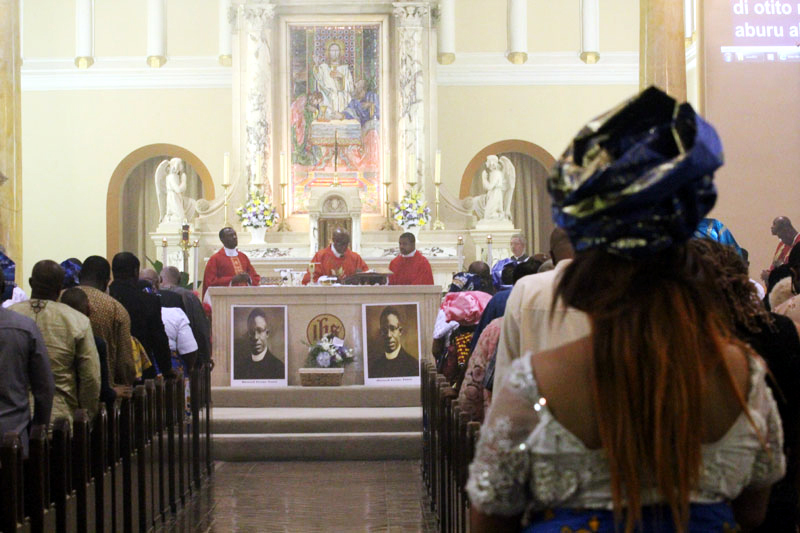 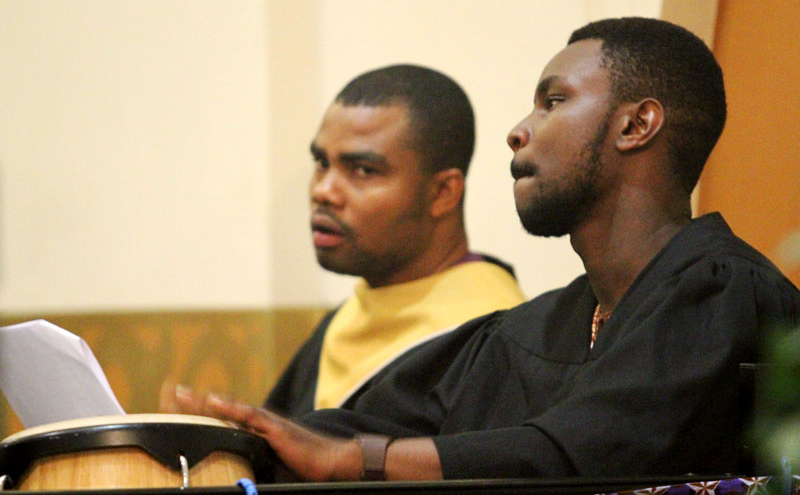 St. Cyprian Parish in West Philadelphia hosts many immigrants from West Africa. 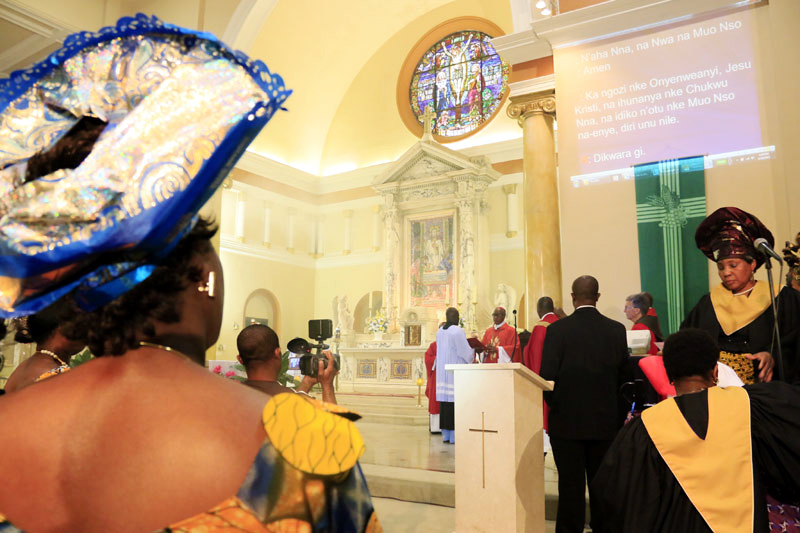 The church was the site of a special Mass on June 20 celebrating 10 years of Nigerian Igbo community’s presence in the parish. 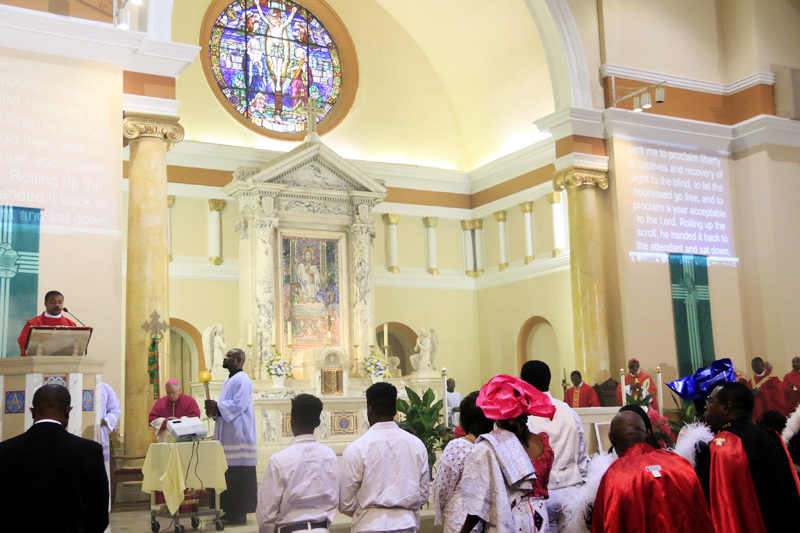 Archbishop Charles Chaput attended the Mass celebrated by Igbo clergy and Archbishop Valerian Okeke of the Archdiocese of Onitsha, Nigeria. 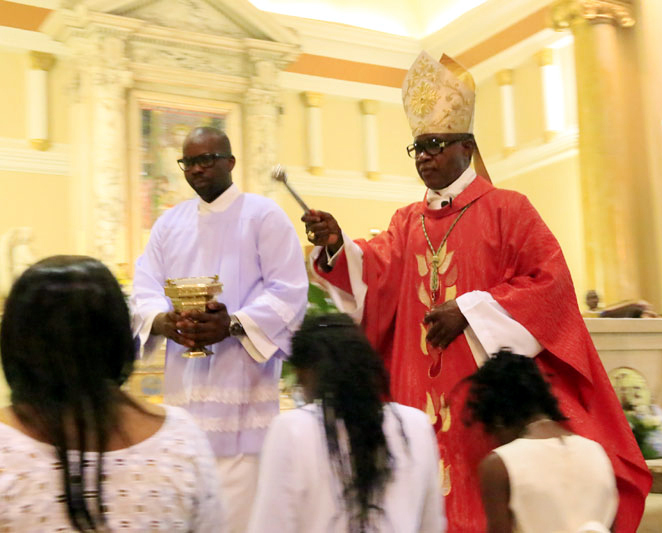 A priest blesses the people as they bring an offering to the altar. 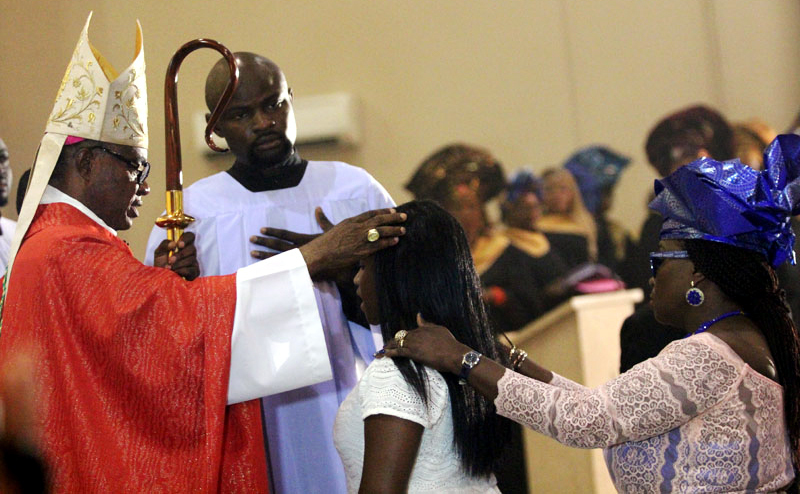 Archbishop Valerian Okeke sprinkles the people with holy water. 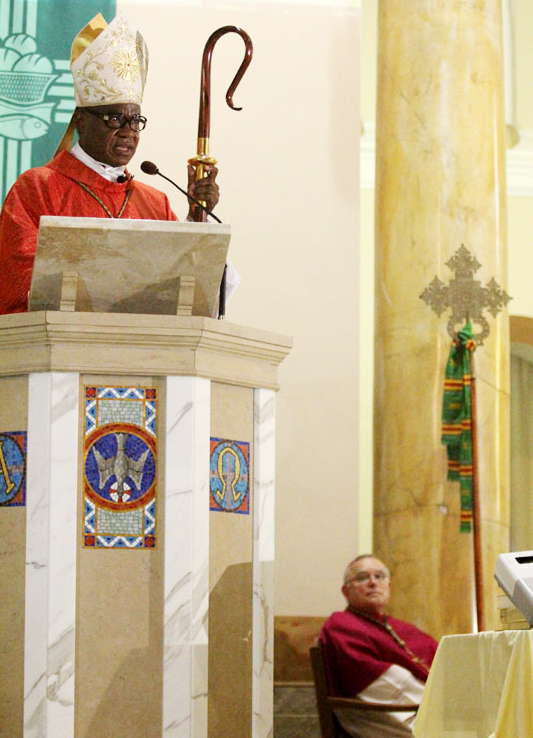 Archbishop Okeke preaches the homily. 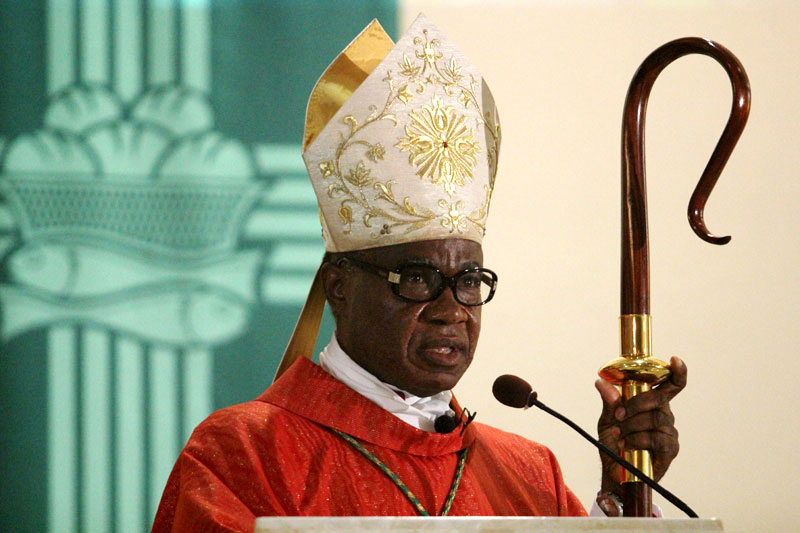 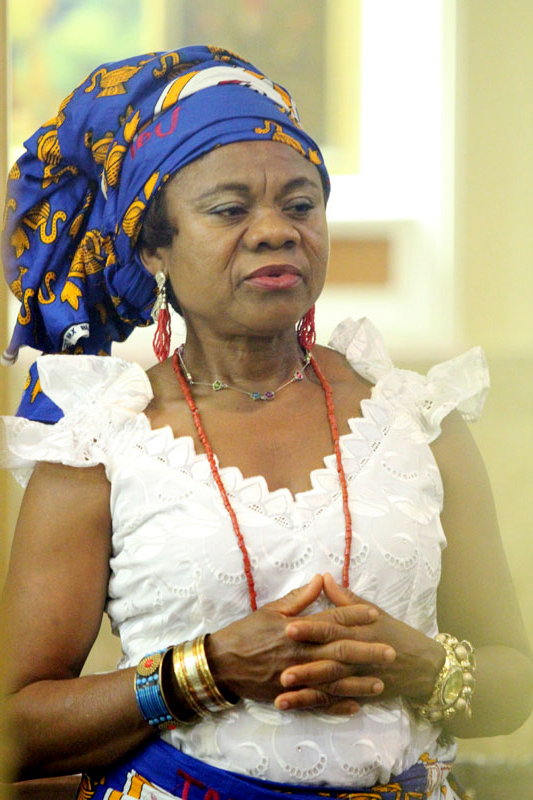 Archbishop Okeke confirms a young woman of the community. 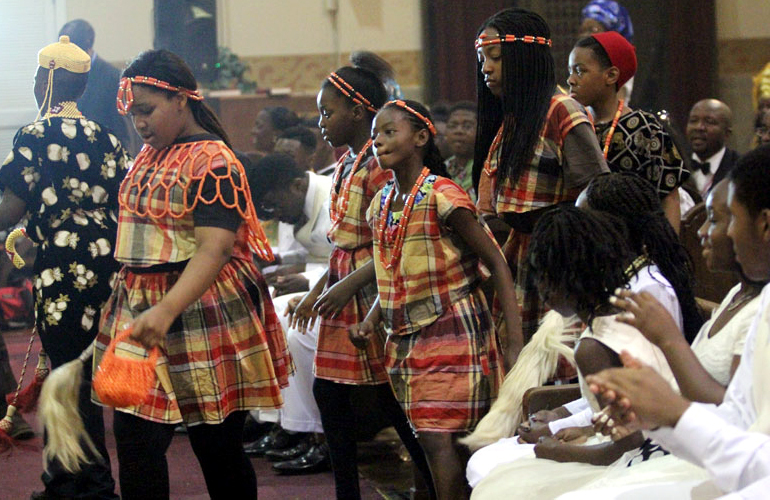 The newly confirmed young men and women of the Igbo Catholic Community at St. Cyprian Parish. 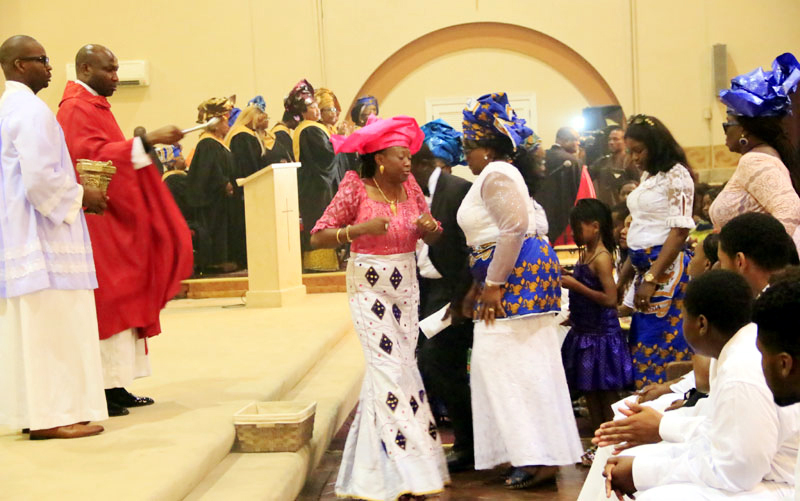 Youths dance up the center aisle as the offertory gifts are brought forward. 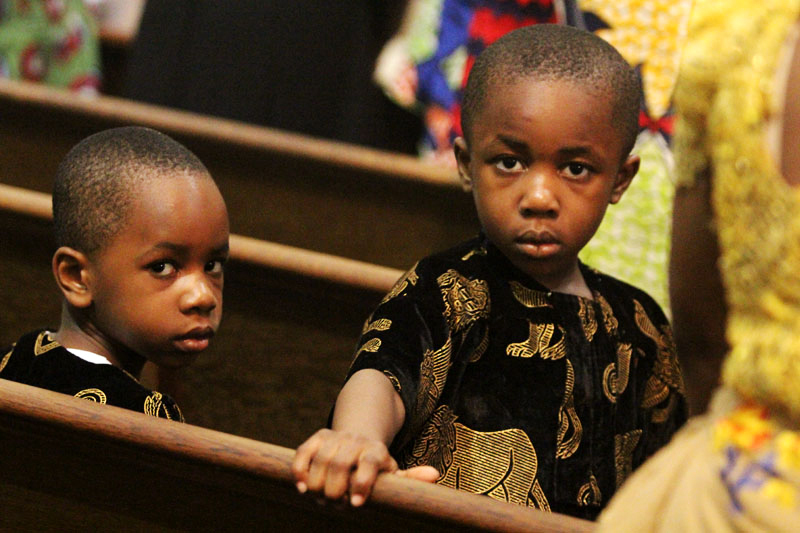 We at St. Ignatius are blessed also to have the Ghanian community as member of our parish. 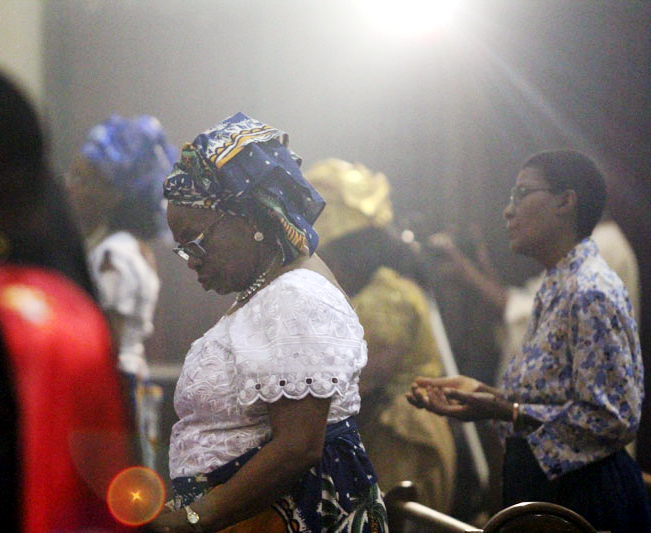 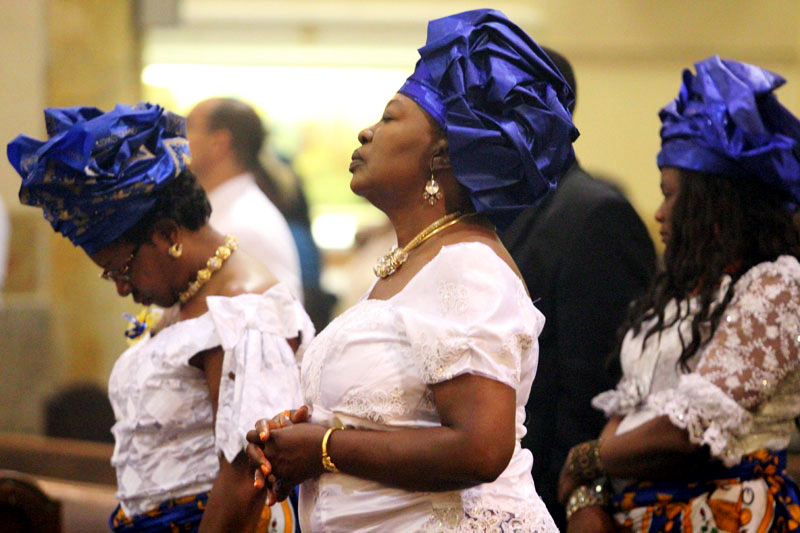 A Ghanian Mass is held on the last Sunday of each month at 2 pm. 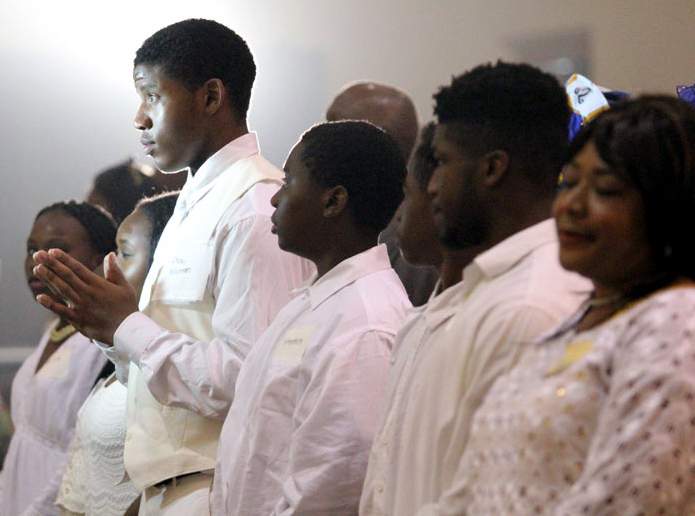 It looks like theCatholic Community at St. Cyprian is thriving and becoming involved with everything Catholic. 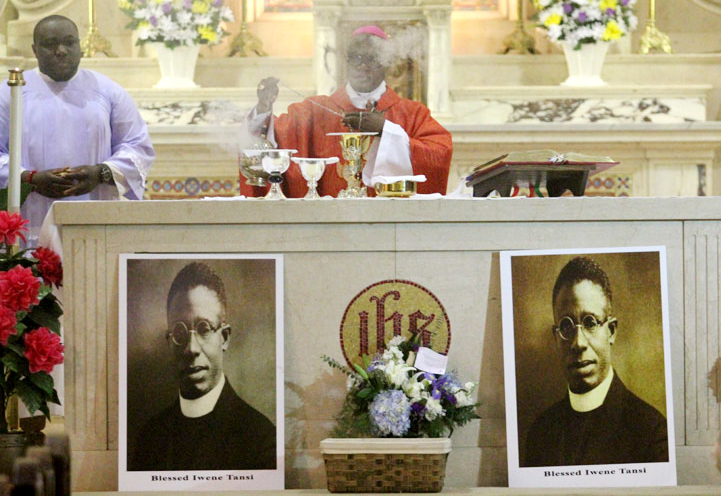 Blessings on the pastor, the priests and the parish leaders who are making it happen.